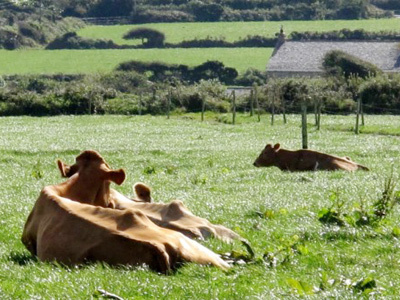 Tredinney is a family run dairy and beef farm, situated ¾ mile from the A30 road, approx. 500 feet above sea level, near the hamlet of Crows-an-Wra, being 5 miles each from Penzance and Land's End. 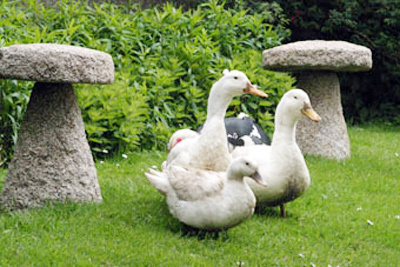 of staying on a working Cornish farm. 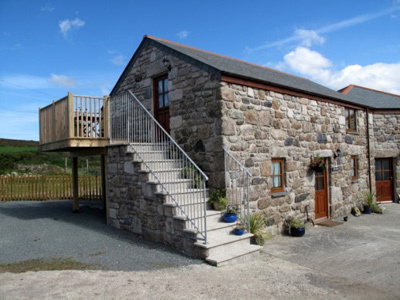 The Roost is a new barn conversion, sleeps up to 4 persons and is a 'reverse-level property', tastefully furnished and equipped to a very high standard offering panoramic landscape. 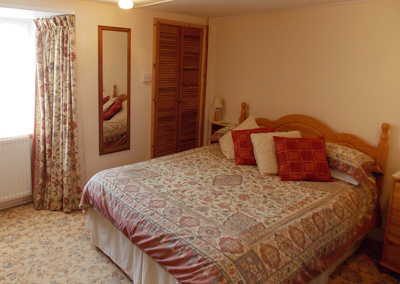 Downstairs there is a double bedroom with a king-size bed, a bedroom with bunk beds and a shower-room. 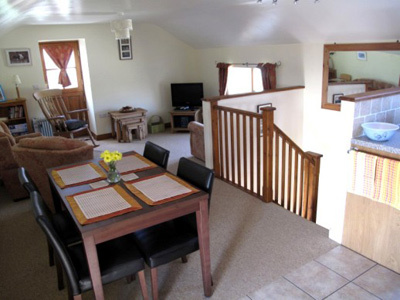 Upstairs, is 'open-plan, spacious but cosy, with a beautiful oak kitchen and dining area one end and the sitting room opening out onto a balcony with patio table and chairs, both with spectacular views of our countryside. 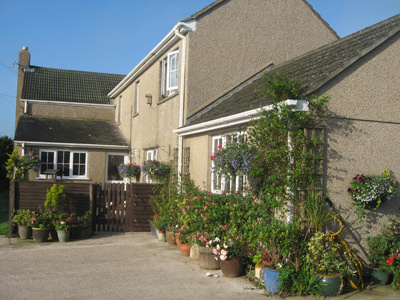 Parking, garden with barbecue, farm trail, sky television, wi-fi, electricity and central heating included. Lovely walks across open farmland direct from the front door. 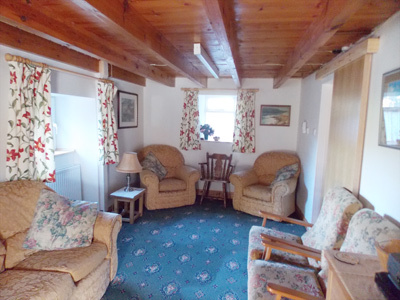 A delightful, quaint, but charming cottage which can sleep from 2 - 6 persons having a pleasant, sheltered and secluded garden with a picnic table, ample parking and a barbecue area. Reduction for smaller parties except in high season. 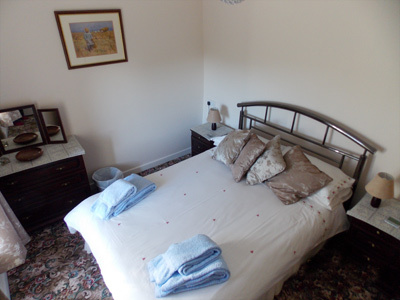 There are three bedrooms, all with good comfortable beds; one with a 4'6" bed and a cot, one with a 3' bed, and the third, en-suite groundfloor bedroom with a 4'6" and a folding 3' bed. Bathroom/toilet is upstairs. 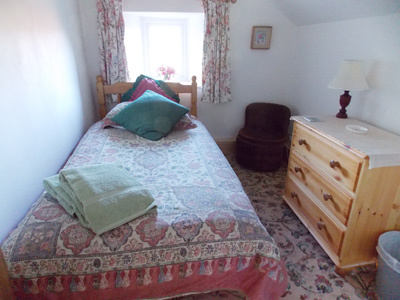 All En suite: From £35 per person per night. 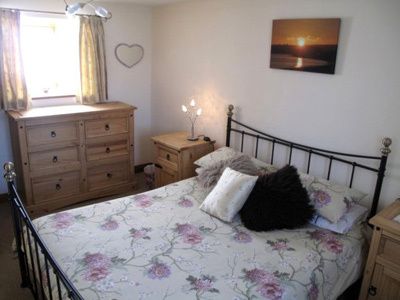 Family room with a double bed and bunk beds, en suite. 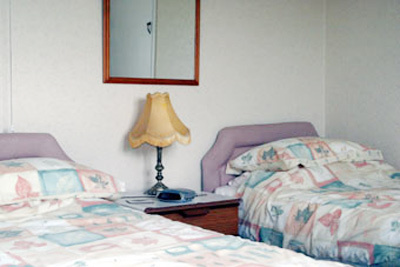 Twin room with it's own private bathroom. 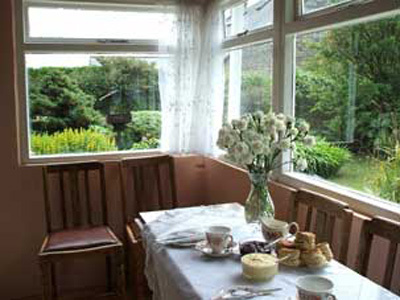 The dining/sitting room has games and many books of local interest. The cosy, yet spacious farmhouse offers warm hospitality and commanding views over the countryside stretching to the sea. 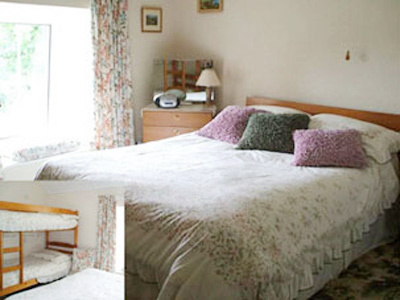 Tastefully furnished it has been featured on an international television holiday programme with Rosemary and her award winning home-made Cornish fare. 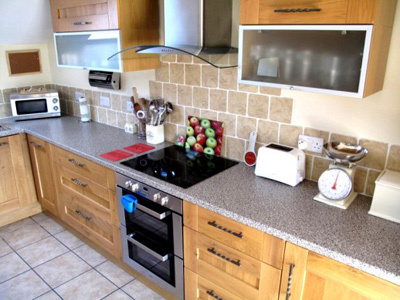 The Aga cooker is a main feature and the good home cooking uses our own or local produce according to season. Food and hygiene certificate held, and special diets catered for. Breakfast tables all being individual.